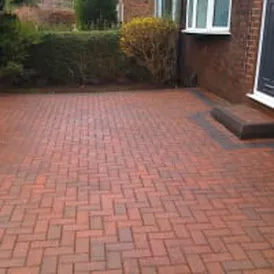 Our experienced, fully-trained and friendly team of professionals will transform your driveway or patio so it looks as good as new, and it will stay this way for months and even years to come. 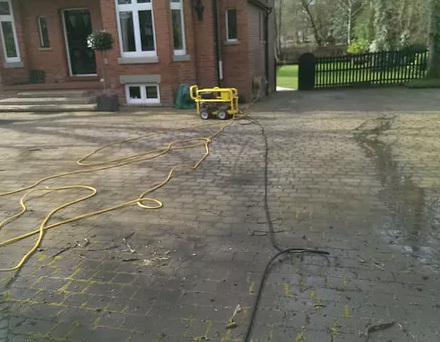 Our jet-cleaning services are suitable for driveways, decking, patios, flags, paving and Indian stone – whether the property is domestic or commercial. 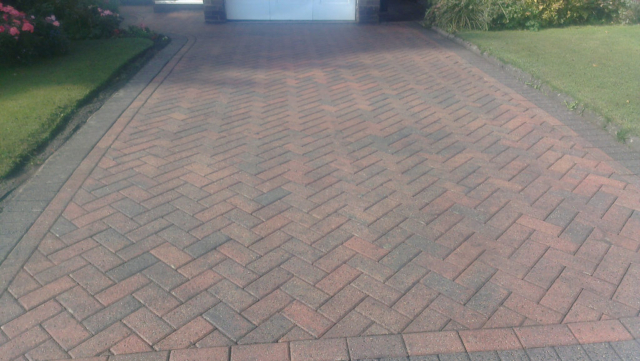 Our high standard of workmanship gives guaranteed, long-lasting results and we are fully-insured. 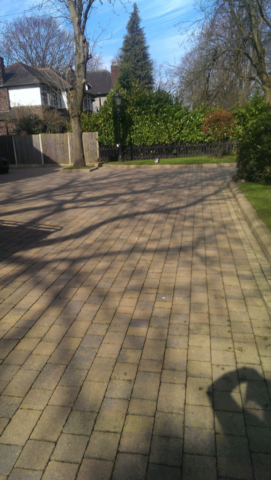 As part of our preparation, we first remove all objects from the patio or driveway so we can clean all the area thoroughly. 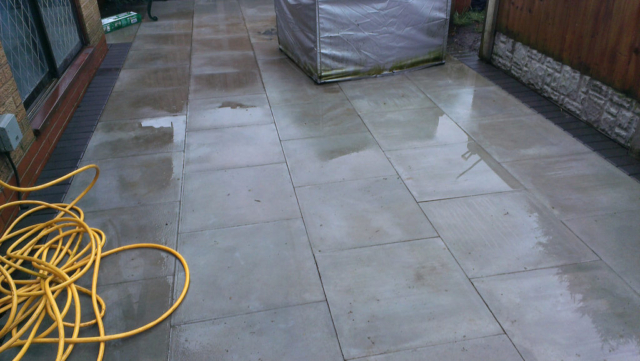 Once it is ready, we use a pressure washer on a deep-clean setting. Even wooden decking can be deep cleaned in this way without damaging the wood. A subsequent rinse will remove all remaining traces of ingrained dirt and moss. 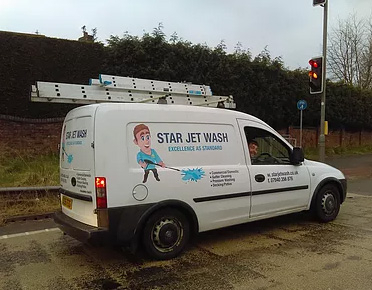 As part of our commitment to customer satisfaction, we also do a final rinse-down so that any splashes of dirt on windows or doors are removed before replacing all objects where they were. For commercial properties, we provide method statements and carry out a full-risk assessment as standard and abide by all health and safety procedures. 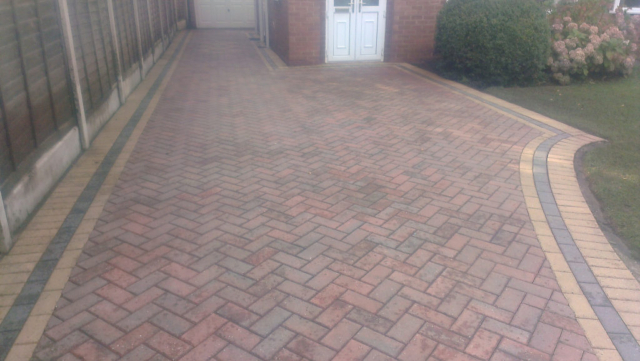 As well as pressure washing, we offer a re-sanding and sealing service with good-quality kiln-dried sand. 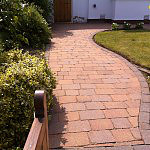 This maintains the professional finish for longer and prevents plants re-emerging in the gaps. 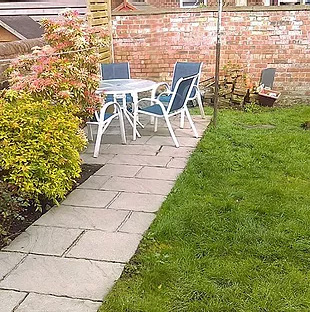 We can also pressure wash patio furniture, garden walls and conservatories to remove years of built-up grime and make your outdoor area a great place for you and your family to spend your time. 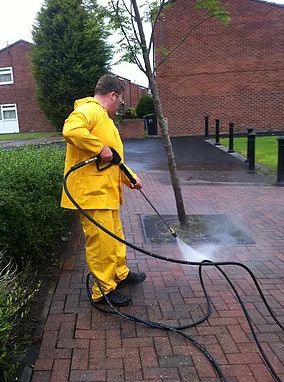 Customers who make use of our competitively-priced jet-cleaning service for their driveway are entitled to an unbeatable discount on our gutter cleaning services. Is gutter cleaning one of those jobs you keep putting off because you hate the idea of teetering on a ladder? If guttering isn’t cleared of debris, plants and moss at least once a year, then blockages can prevent water draining away. Left there, it can damage the brickwork and increase damp problems within the external and internal walls. Our professional team can take on the job for you and remove the worry. We utilise the latest in guttering vac technology such as cherry pickers and power pole systems to clean down-pipes as well as soffits and fascias. We can rectify minor problems and make recommendations for further work to prevent them getting worse and causing major structural damage. 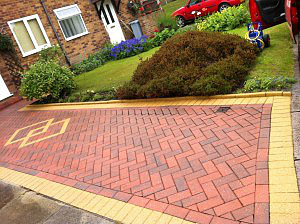 We can save you money in the long-term because left untreated, these problems can cost thousands to put right. 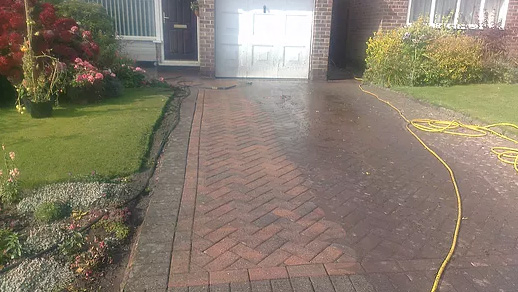 Apart from gutter and driveway cleaning in Wilmslow, we also operate in Liverpool, Warrington, Stockport and Northwich – all with the same high standards and unbeatable prices. Don’t take our word for it. 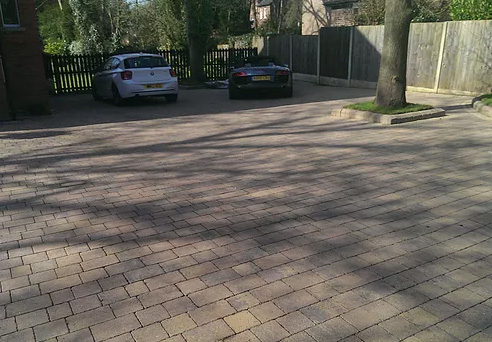 View our before/after photos and read the reviews from our satisfied customers. 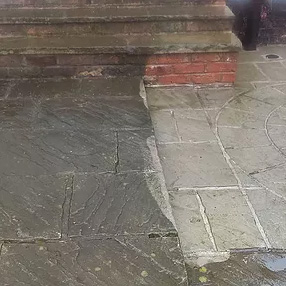 You won’t find better pressure washing and gutter clearing services anywhere.